We’ve caved in and joined the world of podcasts bringing you monthly mixes from absurd recording artists and guests. Kicking off the series of course is our own Eddie Richards. 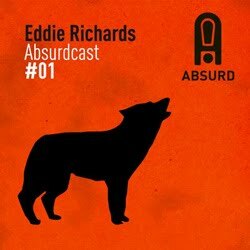 Enjoy this Absurdcast 01,all you Eddie Richards sound lovers! This entry was posted on August 31, 2009 at 10:03 am and is filed under Deep House, Electronic, House, Minimal House, Podcast, Promotions, Tech House. You can follow any responses to this entry through the RSS 2.0 feed. You can leave a response, or trackback from your own site.